Creative Pension Consultants, Inc. has been providing full-service employer sponsored retirement plan administration and consulting since 1989. Creative Pension Consultants, Inc. assists employers in the design, implementation, administration and communication of a wide range of retirement plans. We are committed to providing these services to our clients in a timely, accurate and cost-effective manner. Creative Pension Consultants, Inc. takes the confusion out of plan administration duties and decision making by providing our clients with the consulting and technical expertise they need. We are committed to maintaining effective state-of-the-art computer systems and applications for administrative procedures which permits us to process our clients work more efficiently and ensures the highest standards of quality. Creative Pension Consultants, Inc.’s greatest resource is its team of experienced professionals. Our clients are served by employees who have professional qualifications and whose backgrounds include many years of experience in the pension and retirement field. They are committed to providing our clients with friendly, courteous and responsive personalized service of superior quality. John is the founder of Creative Pension Consultants, Inc., and is a Certified Public Accountant with more than 30 years of experience. As a pension consultant, John's primary responsibility is to consult with clients on plan design issues, design and set up new plans, and assist clients in complying with the myriad of laws affecting pension plans. John graduated from Pace University in New York, NY with a BBA degree in Public Accountancy in 1972. 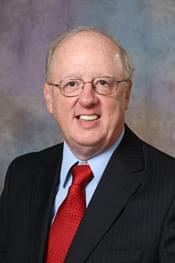 John became a Certified Public Accountant in 1978. He has been awarded the designations of Certified Pension Consultant (CPC) and Tax Exempt & Governmental Plan Consultant (TGPC), among others, by the American Society of Pension Professionals and Actuaries. John is a volunteer with Boy Scout Troop 50. Pat manages plan documentation and implementation, including all aspects of ERISA and Internal Revenue Code compliance. With over 25 years of experience in retirement plan administration and communications, she also manages plan documentation for Section 125 ("Cafeteria") plans. Pat joined Creative Pension Consultants, Inc. in 1990 with extensive experience in plan administration. Pat has an AS in Applied Science from SUNY Morrisville, and has been awarded the Qualified Plan Administrator (QPA) and Qualified 401(k) Administrator (QKA) designations by the American Society of Pension Professionals and Actuaries for demonstrating excellence in the field of pension administration. She has also earned the Enrolled Retirement Plan Agent (ERPA) designation from the Internal Revenue Service. In addition to the administration and consulting on client benefit plans, Karl is also responsible for plan design consulting and marketing strategies. 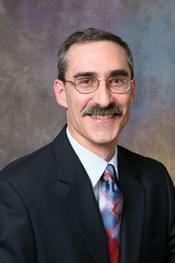 He joined Creative Pension Consultants, Inc. in 2005 with over 10 years of extensive experience in plan administration. Karl has a BA in Mathematics from LeMoyne College in Syracuse, and has been awarded the Certified Pension Consultant (CPC), Tax Exempt & Government Plan Consultant (TGPC), Qualified Plan Administrator (QPA) and Qualified 401(k) Administrator (QKA) designations by the American Society of Pension Professionals and Actuaries for demonstrating excellence in the field of pension administration. He has also earned the Enrolled Retirement Plan Agent (ERPA) designation from the Internal Revenue Service. Karl is a member of the Colonie-Guilderland Rotary Club and a member of American Mensa. Jerry’s responsibilities include the day-to-day administration of client benefit plans, as well as Human Resources for the firm. Jerry joined Creative Pension Consultants, Inc. in 1997 with extensive experience in accounting and plan administration. 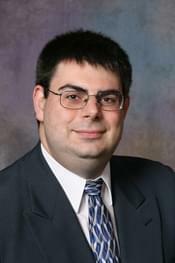 Jerry obtained his BS in Accounting from the State University of New York at Plattsburgh. Jerry is also a Certified Public Accountant. Jerry has been awarded the Qualified Plan Administrator (QPA) and Qualified 401(k) Administrator (QKA) designation by the American Society of Pension Professionals and Actuaries for demonstrating excellence in the field of pension administration. Jerry is a member of the Knights of Columbus. Lori's responsibilities include plan conversions, takeover plans, plan administration, systems development, and other special projects. 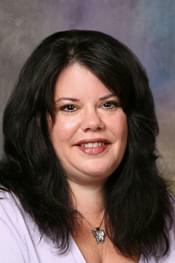 Lori joined Creative Pension Consultants, Inc. in 1999 with extensive experience in plan administration. Lori obtained her BS in Mathematics from the State University of New York at Potsdam, and has been awarded the Qualified 401(k) Administrator (QKA) designation by the American Society of Pension Professionals and Actuaries for demonstrating excellence in the field of pension administration. 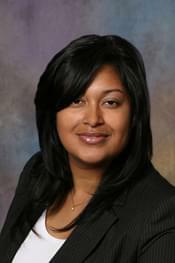 Laraine’s responsibilities include the administration and consulting on client benefit plans. She is directly involved with all aspects of participant recordkeeping, distribution and loan processing, and compliance testing. 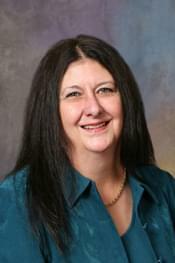 Laraine joined Creative Pension Consultants, Inc. in 1996 with extensive experience in plan administration. Laraine obtained her BBA in Accounting from Siena College, Loudonville, NY. She has been awarded the Qualified Plan Administrator (QPA) designation by the American Society of Pension Professionals and Actuaries for demonstrating excellence in the field of pension administration. She has also earned the Enrolled Retirement Plan Agent (ERPA) designation from the Internal Revenue Service. Laraine is a volunteer with the Girl Scouts of Northeastern New York. Lisa’s responsibilities include reviewing all aspects of participant recordkeeping, distribution and loan processing, compliance testing, and plan administration. 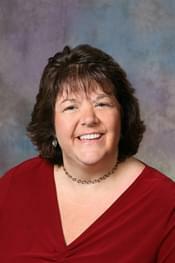 Lisa joined Creative Pension Consultants, Inc. in 2004 with over 20 years of experience in plan administration. Lisa obtained her BBA in Accounting from Siena College, Loudonville, NY. Lisa has been awarded the Qualified Plan Administrator (QPA) and Qualified 401(k) Administrator (QKA) designations by the American Society of Pension Professionals and Actuaries for demonstrating excellence in the field of pension administration. She has also earned the Enrolled Retirement Plan Agent (ERPA) designation from the Internal Revenue Service. Ryan joined Creative Pension Consultants, Inc. in 2014 and supports the Administration team. 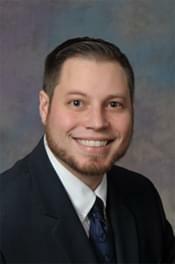 Ryan obtained his BS in Business Administration from the State University of New York at Potsdam and has earned his Retirement Plan Fundamentals certificate from the American Society of Pension Professionals and Actuaries. Kim's responsibilities include the day-to-day operations of plans using the Nationwide Best of America retirement plan products. She is directly involved with all aspects of participant recordkeeping, distributions, and loan processing. 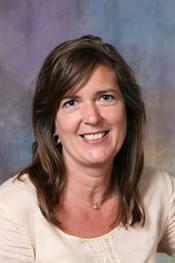 Kim joined Creative Pension Consultants, Inc. in 2000 with extensive experience in operation of daily valued plans. Kim is a graduate of Colonie Central High School, and has earned her Retirement Plan Fundamentals certificate from the American Society of Pension Professionals and Actuaries. Kim volunteers with the Animal Protective Foundation in Schenectady. Amber joined Creative Pension Consultants, Inc. in 2007 and has worked in several positions in the firm that have given her exposure to many facets of the industry. Working directly with the Client Managers, she is responsible for the day-to-day administration, compliance testing, and processing of client benefit plans. Amber obtained her AS in Business Marketing from Hudson Valley Community College in Troy, NY and has earned her Retirement Plan Fundamentals certificate from the American Society of Pension Professionals and Actuaries. 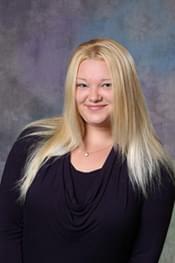 Jackie joined Creative Pension Consultants, Inc. in 2008 with extensive Human Resource and payroll experience. Working directly with the Client Managers, she is responsible for the day-to-day administration, compliance testing, and processing of client benefit plans. Jackie obtained her BBA in Accounting from Siena College, Loudonville, NY and has been awarded the Qualified 401(k) Administrator (QKA) designation from the American Society of Pension Professionals and Actuaries. 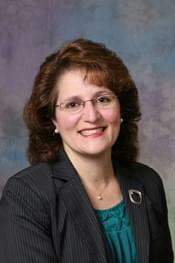 Denise joined Creative Pension Consultants, Inc. in 2007. Working directly with the Client Managers, she is responsible for the day-to-day administration, compliance testing, and processing of client benefit plans. Denise obtained her AS in Business Administration from Hudson Valley Community College in Troy, NY, and her BS in Accounting from Siena College in Loudonville, NY. She has been awarded the Qualified 401(k) Administrator (QKA) designation from the American Society of Pension Professionals and Actuaries.